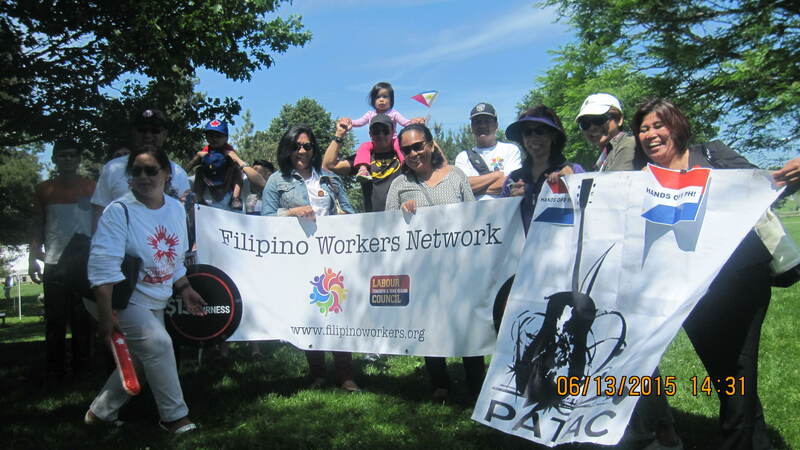 FILIPINO WORKERS NETWORK | Uniting Filipino Workers for good jobs, fairness and justice. Thousands of Filipinos leave the Philippines daily to go to countries like Canada because of worsening the economic and political situation in the Philippines. Canada is now home to us and we share in Canada’s concern that we are losing good jobs, losing public utilities due to privatization and losing our rights and freedoms as a people. We are deeply concerned about poverty and injustices happening around us, about issues that affect the working families and the community. We fear for the uncertain future of our families, our children and our children’s children. As Filipino Workers Network, we join in making a better Canada, a Canada that cares about its people. A Canada that protects the rights of workers and upholds the rights and freedoms of its people. We demand Respect, Justice and Dignity. Join us in our fight for Good Jobs, Fairness and Justice!